This story was sent by Elizabeth Philip. Once upon a time Elizabeth Philip taught English and History in school. 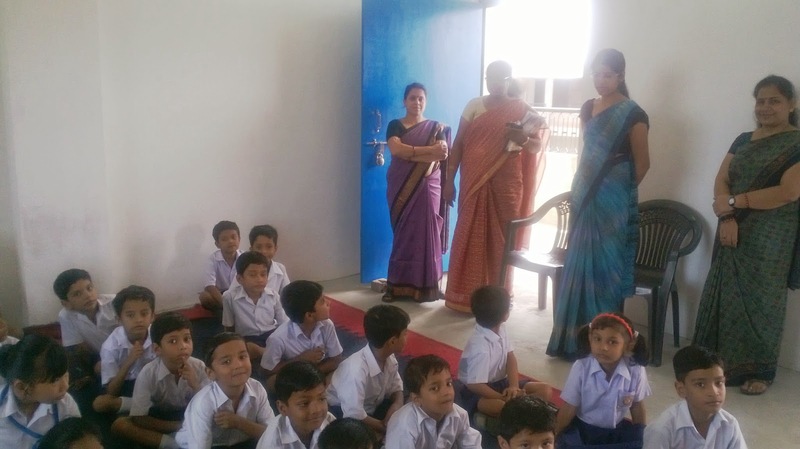 Now she tells stories to school children in Kanpur. My Takloo bag is ready. Banner, purse with coins, pot, photocopied pictures,flashcards,Takloo on a stick, a packet of salt, container, bowls( for a game) and the book, of course. Have I forgotten anything? 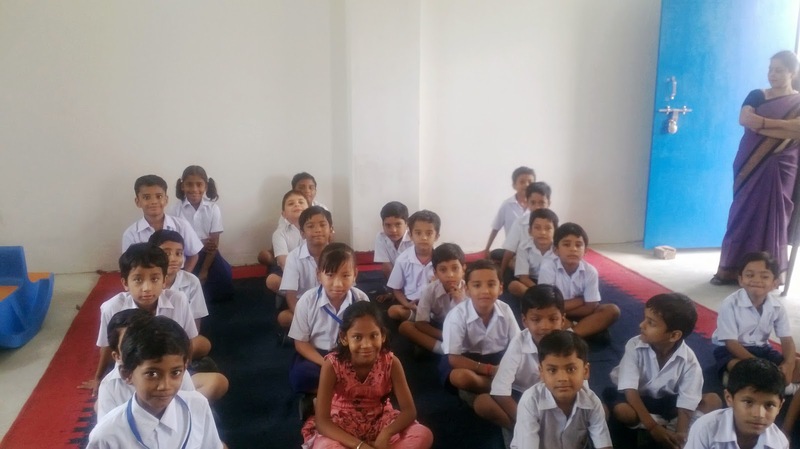 Takloo’s first stop is St. Mary’s Orthodox High School in Koyla Nagar,run by our church. The building is still under construction. The session commenced in April this year. There are 26 children in the Activity Room. It’s time to begin the kahaani. I tell the children that there’s no raja and no rani but there is T_______. And then I reveal the name of the star of the day T...T...Takloo! Much laughter. But they haven’t yet seen him or the book cover as yet. We play Kaun Banega Toffeepati to guess who Takloo is. The clue is - he is vey hoshiyaar. The child guesses right and he gets 4 toffees!! O.K. 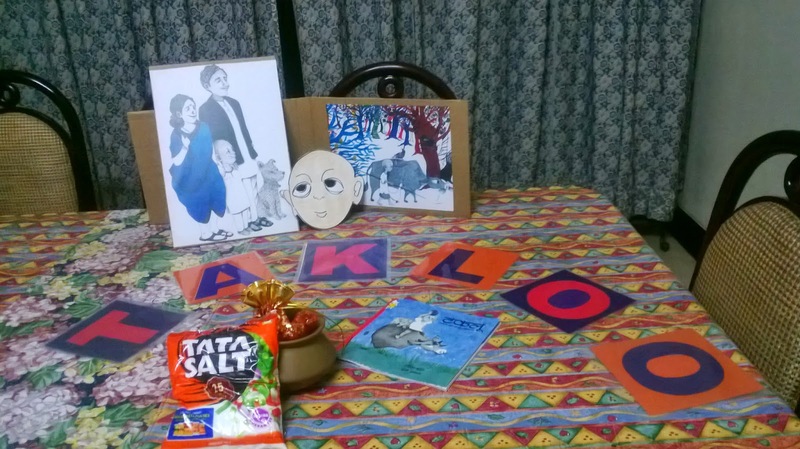 Now you know 2 things about Takloo - He’s 5 years old and he’s clever. What else would you like to know about him? What are his parents like? Agar toot gaye matke to mummy pakad ke patke. Thank you Elizabeth for spreading the joy of reading ! 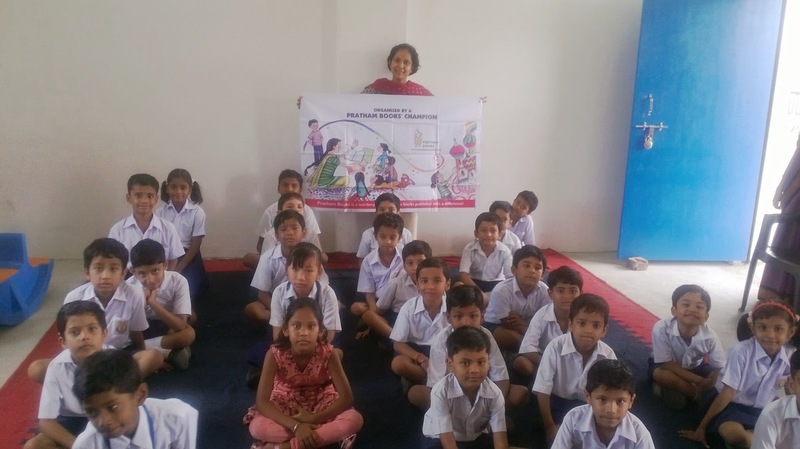 In its third edition of the 'One Day - One Story' campaign, Pratham Books was joined by 1300+ storytellers who conducted 1500+ storytelling sessions. More than a 1000 steps towards making reading contagious.